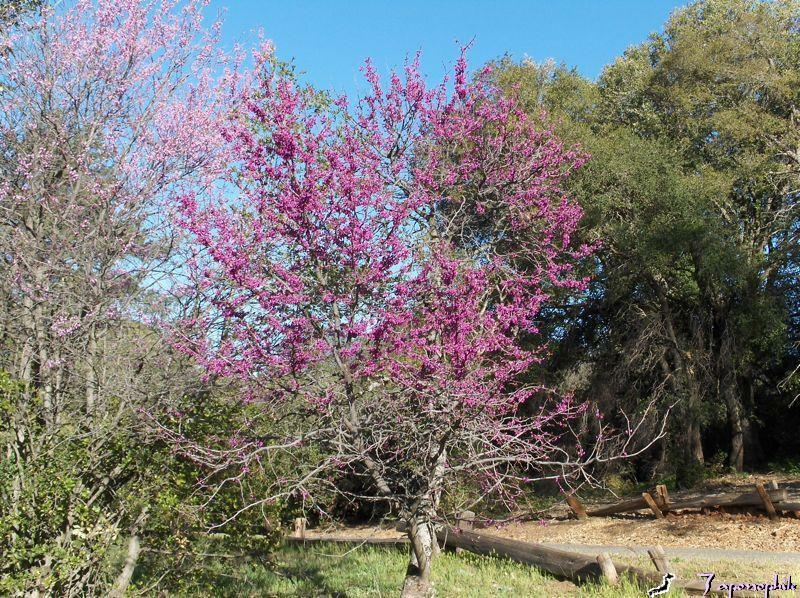 So at this time of year, as our nearby deserts heat up, we find comfort and interest in the Cuyamaca Mountians. 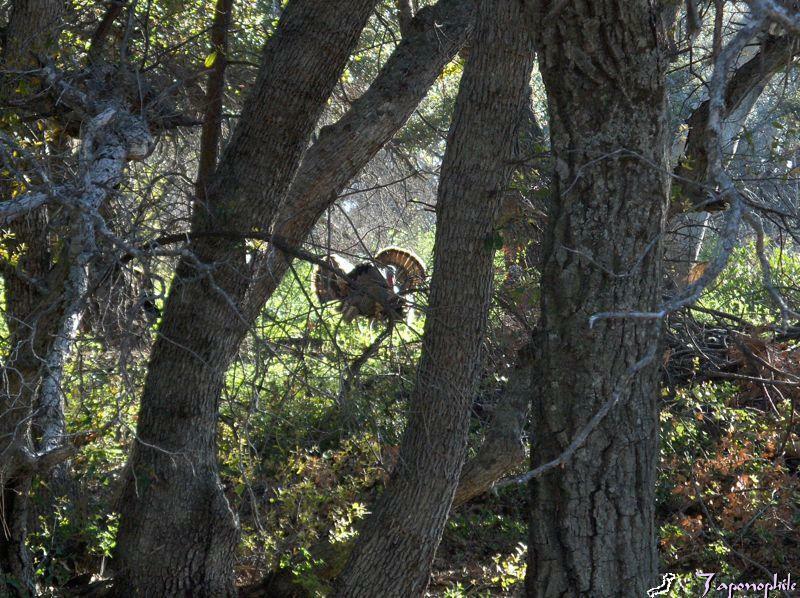 The air was still cool, the flowers still blooming, and the turkeys were frolicking when we returned to William Heise County Park. 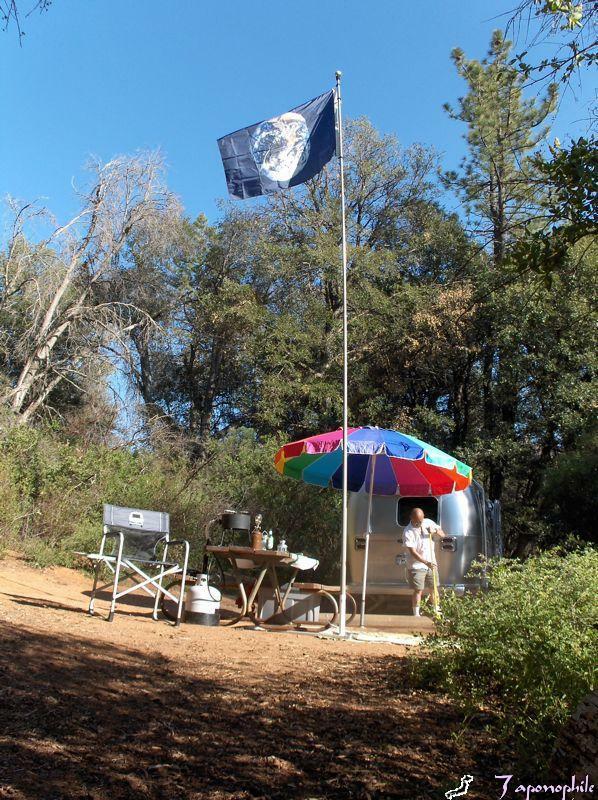 This park is located near Julian, a former California gold-mining-boom-town, and now a quaint apple-growing center, visited by many people, especially during the fall Apple Days and Bluegrass Festival. Occasionally, it is also visited by the Plague Doctor. This area is also plagued by wildfires, especially during the Santa Ana wind conditions prevalent in late summer and early fall. 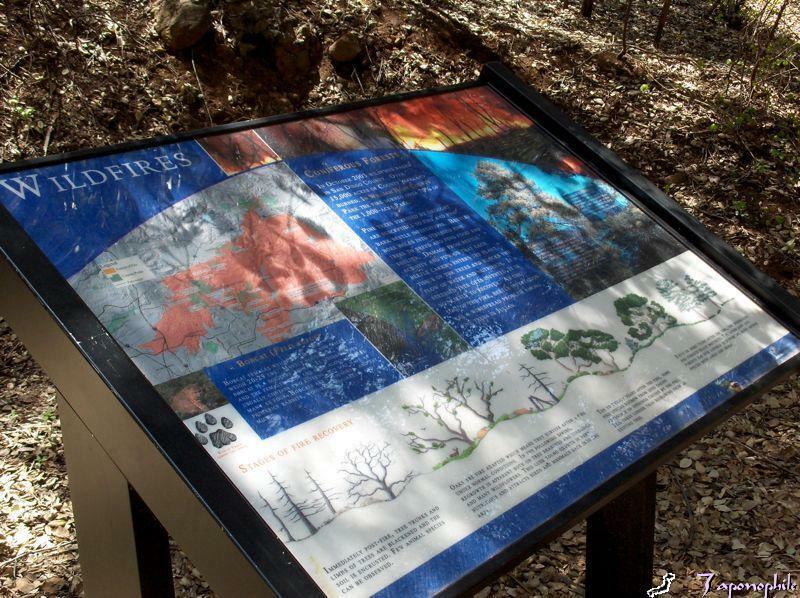 The October 2003 wildfires burned 70% of William Heise Park. Seven miles of pleasant, wooded loop trails provide opportunities to follow the stages of re-forestation that occur naturally after fires. During this second year of camping, we are also learning to keep an eye on naturally loosening screws in our Airstream. On this outing, Larry heard something drop as he was closing a window. The tiny hex screw that holds the gray plastic knob on the window-opening-arm-bracket had fallen out and was luckily found. 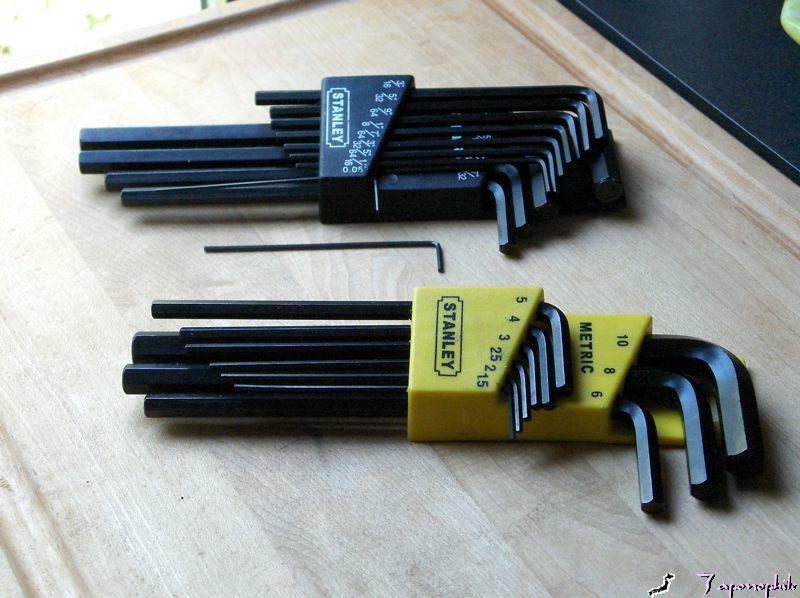 Last year Larry assembled two bags of essential tools, which included two sets of hex keys (also known as Allen wrenches) of various sizes. 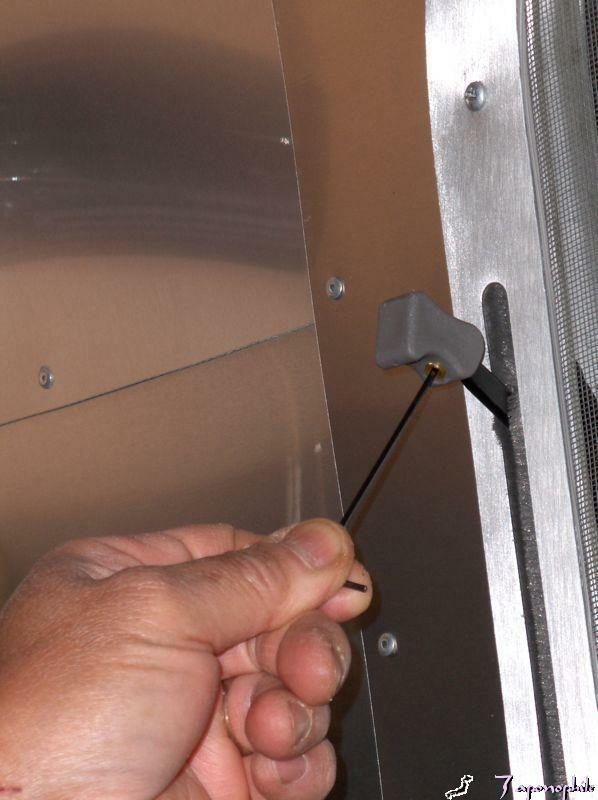 Larry used the 1/16th inch hex key to screw it back in and tighten all of the other window knob screws which had begun to loosen. This underscores the importance of making and maintaining an essential tool bag. In 1969, U.S. Senator Gaylord Nelson proposed a national environment event which led to the first Earth Day observance on April 22, 1970. It is now viewed as a worldwide effort to promote the health and protection of our global environment and resources. Forty-three years earlier, William Hawley Bowlus supervised the construction of Charles Lindbergh’s plane, the Spirit of St. Louis, at Ryan Airline Company in San Diego in 1927. In 1934, he applied aircraft monocoque construction techniques and used Duraluminum in making a streamlined travel trailer, the Road Chief. Two years later, a salesman for the Bowlus-Teller Mfg. Company, Wally Byam, bought the company, founded Airstream, and made their first trailer, the Airstream Clipper, based on the Road Chief. 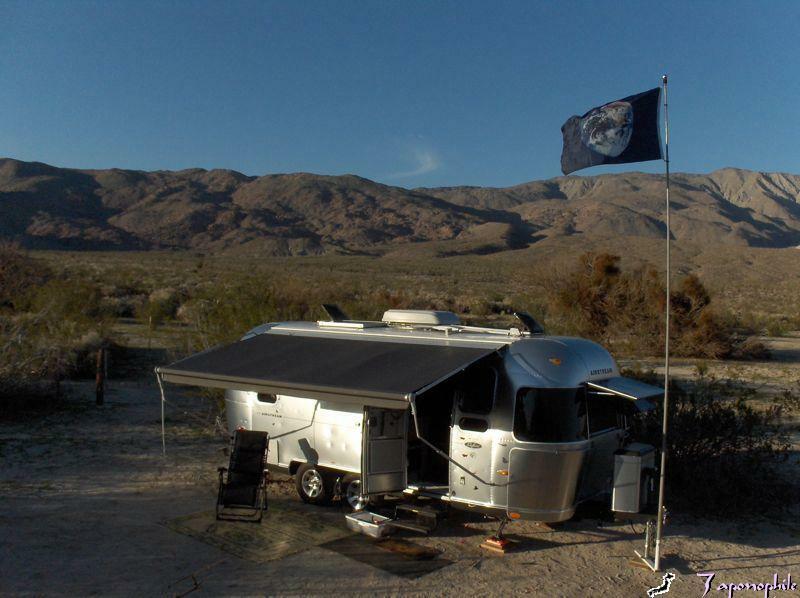 The sleek, streamline design of Airstream trailers now seems to be a timeless icon of natural beauty in form and function that works well with the environment rather than against it. 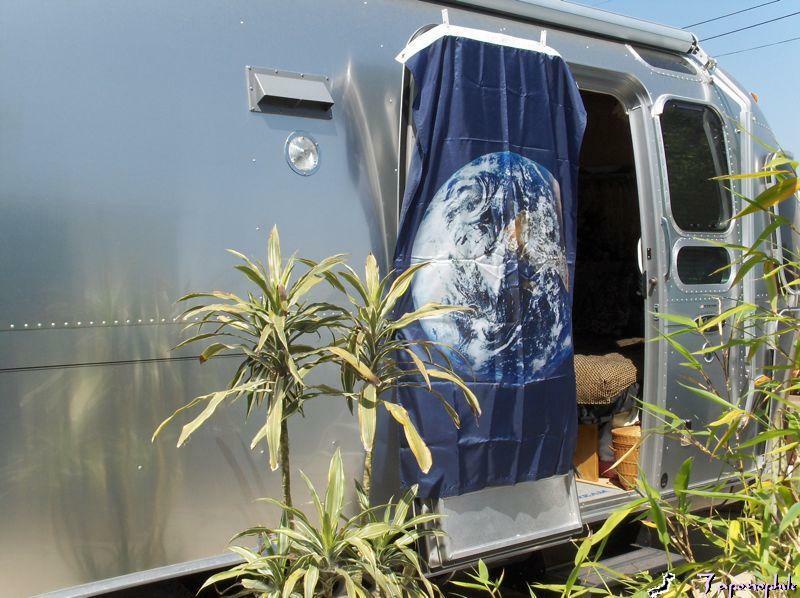 The Airstream’s shiny exterior reflects the gleaming sun, sky, and natural beauty wherever we take it. Its low profile design also means that it helps us be more fuel efficient when towing, as well as safer in wind-advisory conditions. The Airstream trailer enables us to experience a variety of terrains and get close to the natural beauty of our planet Earth. It also reinforces good conservation efforts and habits as we learn to be frugal in the use of the trailer’s supply of water, propane and electricity. 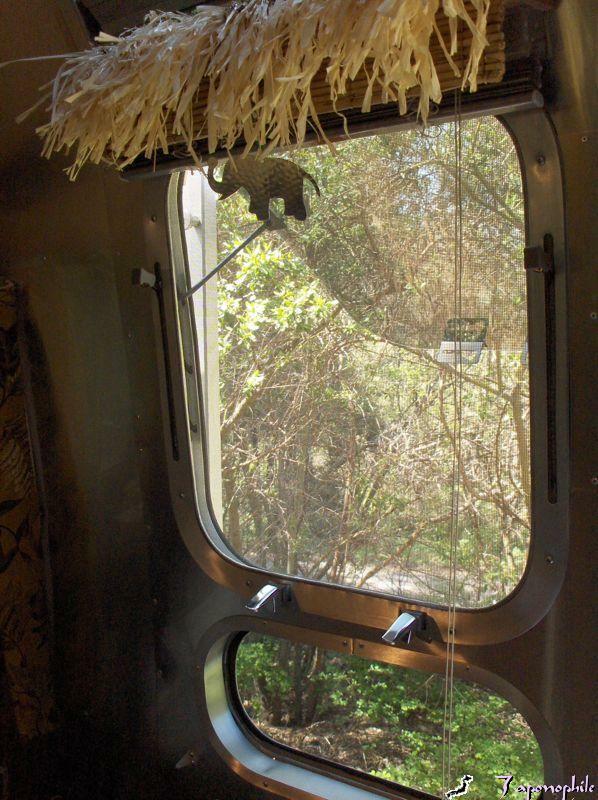 Airstream also inspires us just by being visible through our living room window. It motivates us to maintain and conserve what we already have (the greenest building is one that is already built), as well as to add additional alternative energy systems such as solar and wind power technology. 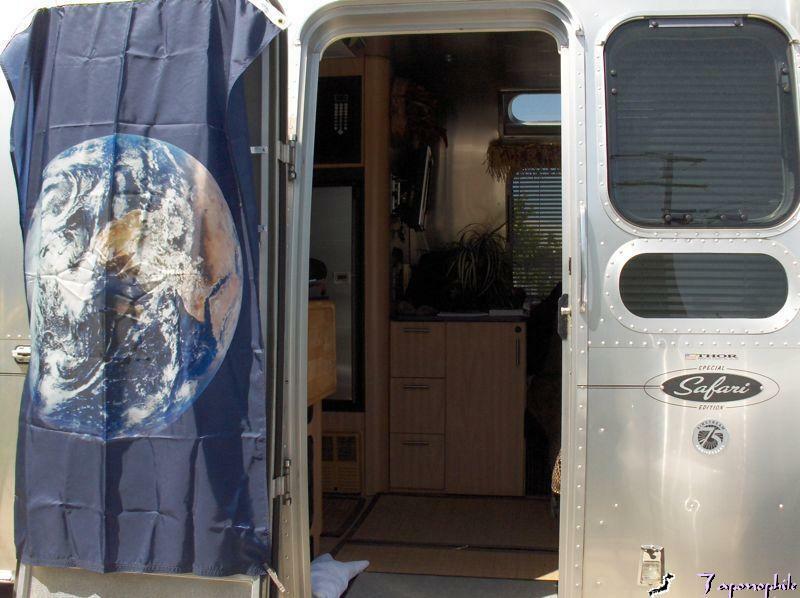 Airstream energizes us to observe, celebrate and live Earth Day, every day. Earth Day activates us to become more aware of environmental concerns and current issues. One issue is the threat to our local, state and national parks due to budget cuts during the downturn of our economy; California and Arizona are two good examples. For more information on Earth Day and keeping current on green issues, check out some of these links: earth911.org, epa.gov/earthday, treehugger.com, and if you have a cat, see naturesearth.com. 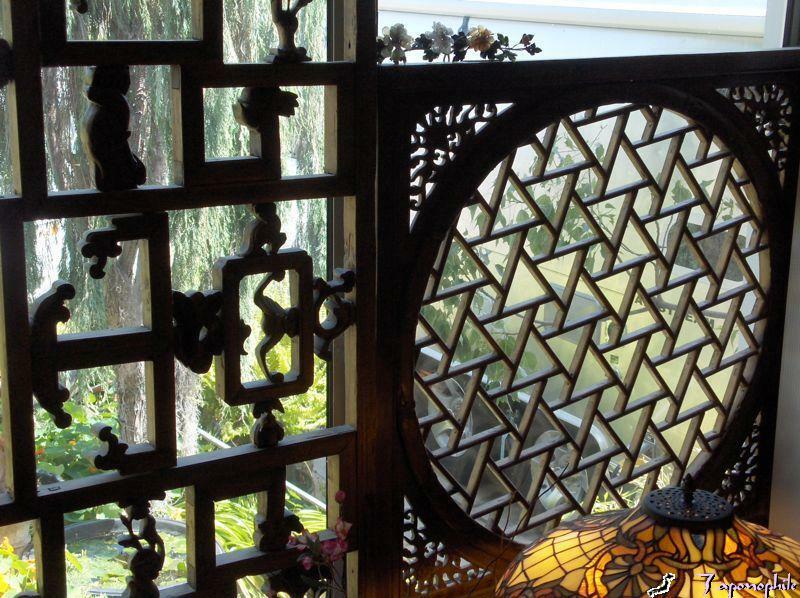 Then get your favorite beverage, sit back and enjoy music to celebrate Earth Day. Happy Earth Day (and Happy Birthday Emma)!